a daunting challenge, but actually teaching a blind or partially sighted child doesn't have to be all that difficult. These children can adapt and thrive in your classroom just like any child. The following tips will make it easier for you, the teacher to meet the needs of these children. Independence is an important skill for any preschooler to achieve. Many teachers feel the need to make everything easier for the visually impaired child, never allowing the child the opportunity to learn how to be independent. Instead, allow him to explore his environment as much as possible. Visually impaired preschoolers will naturally learn their way around the room using all of their other senses. This is an important skill for blind and partially sighted children. You'll need to help the student find his way around at first, but soon he'll have it all figured out. Just be sure to keep things in the same place as much as possible. Don't rearrange the room for variety. This is not helpful for the child. Real, hands-on experiences should be provided for all students, especially the visually impaired preschooler. While this is dependent upon the extent of the disability, these students cannot rely on visual learning as much as other students, so it's important for them to have plenty of opportunities to learn about their world through direct experiences. Bringing in actual objects for the student to touch, hear, smell, and explore means a lot more than talking to him about something or reading about it in a book. 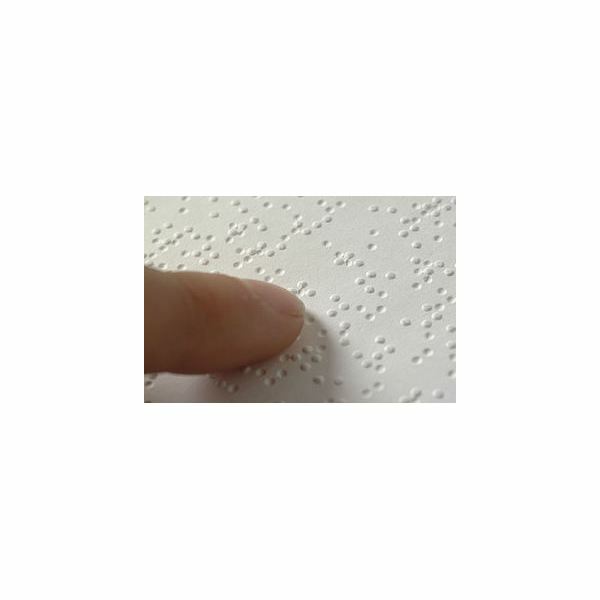 are partially sighted should be exposed to braille. These children may also learn braille at some point in the future. Preschool teachers don't need to worry about teaching braille, but exposure to books is important for those pre-reading skills to develop during the preschool years. This is no different for blind and partially sighted children. You don't need a bunch of alternate teaching materials to teach a student with a visual impairment. He will use most of the same materials that other preschoolers use, like finger paints, play doh, and blocks. There are easy ways to modify pictures and other learning materials. You can create raised lines on pictures with Elmer's glue. Simply squirt the glue and create shapes, letters, numbers, or whatever you like. When the glue dries you'll have a raised picture for the student to feel. This must be done in advance to allow adequate drying time. Partially sighted children will benefit from large pictures and the use of sharply contrasting colors. Using learning materials of different textures can also be helpful and add variety. Letters and shapes cut from felt, sponges, or other materials with interesting texture are cheap and easy to make. For visually impaired children who are typically developing in all other areas, resist the urge to treat them any differently than other students. It is not helpful to allow behaviors from these students that are not allowed from other students. Visually impaired preschoolers are just as capable of good behavior as any other child. It is important to have high expectations of all preschoolers, including those with visual challenges. Social skills are another area that the preschool teacher should pay attention to when teaching a visually impaired preschool child. Foster friendships by making sure your visually impaired preschooler isn't allowed to stay in the background. Partnering students together during activities can be helpful. Answer any questions the other students have about the student with a matter of fact attitude. The other preschoolers will notice how you react to the visually impaired child. If you treat him like all the other students, so will they. After all, we're all different, and respecting each other's differences is a great lesson for all preschoolers.